Los Angeles, Calif. (June 11, 2013) Global Rallycross (GRC) confirms its 2013 schedule will total nine rounds including races on three different continents in conjunction with Global X Games events in Foz do Iguaçu (Brazil), Barcelona (Spain) and Munich (Germany). As one of the fastest growing forms of motorsport, rallycross combines the best aspects of circuit racing, off-road racing and rally competition. The series is made up of four Global X Games events and five GRC events to total nine rounds that will culminate in the crowning of both a driver’s champion and manufacturer’s champion. The 2013 championship features live broadcasts on ABC, ESPN or ESPN2 available in over 198 countries. With more than 15 hours of primetime live content on major networks, the telecast package comprises the most expansive television coverage that the sport of rallycross has ever seen. The series’ star drivers include Ken Block, Brian Deegan, Travis Pastrana, Scott Speed and 2011 and 2012 GRC Champion Tanner Foust. A second medal race has been added to the X Games Munich competition schedule on June 29th. The race will serve as Round 2 of the Global Rallycross (GRC) season, replacing last month’s rain cancelled event in Barcelona. Round 3 will be contested on the same circuit on June 30th and each event will feature its own practice and qualifying sessions. 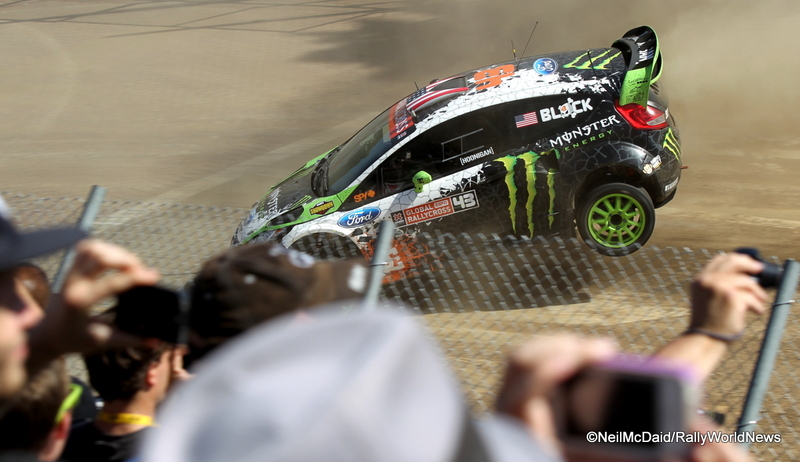 Both events will count for full points in the GRC standings and X Games will award medals for both rounds. Please tune in to ESPN and www.global-rallycross.com for full coverage and broadcast times.